Barry Baker Jr., accused of sucker punching a man with cerebral palsy outside a 7-Eleven in West Chester, was expected to plead guilty today in a Chester County court. However, when asked if he agreed with the summary of the case read into record this morning he responded, "Absolutely not." The court was left in confusion. A second hearing was held this afternoon, but a plea deal still was not agreed upon. Baker Jr. has claimed responsibility for the assault, but had issue with the proposed sentence of 1-2 years in prison. Trial will start on Monday. Suspected pipe bombs were discovered inside a house in East Oak lane section of Philadelphia earlier today. 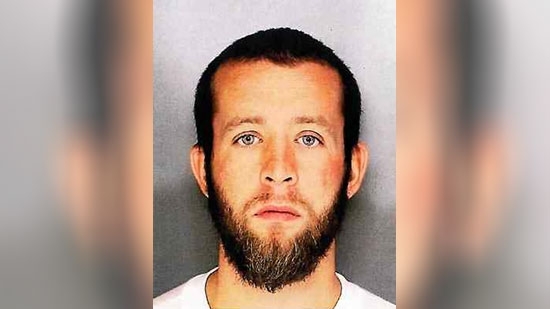 The Philadelphia Sheriff's Department discovered the two bombs along with gun making parts and ammunition in the basement of the home during an eviction. It started around 11 a.m. on the 6100 North Fairhill Street. The ATF and bomb squad were called to dispose of the explosives. There were no evacuations on the block despite earlier reports. Philadelphia Police are searching for a suspect wanted in a double stabbing early Wednesday morning in the Northeast. The incident happened on the 1100 block of Fillmore Street in Frankford around 2 a.m. The two victims are brother and sister, a 17-year-old boy and a 20-year-old woman. They were slashed while defending their mother from her 33-year-old boyfriend during a fight. The two siblings were taken to the hospital in stable condition. The boyfriend fled the scene.